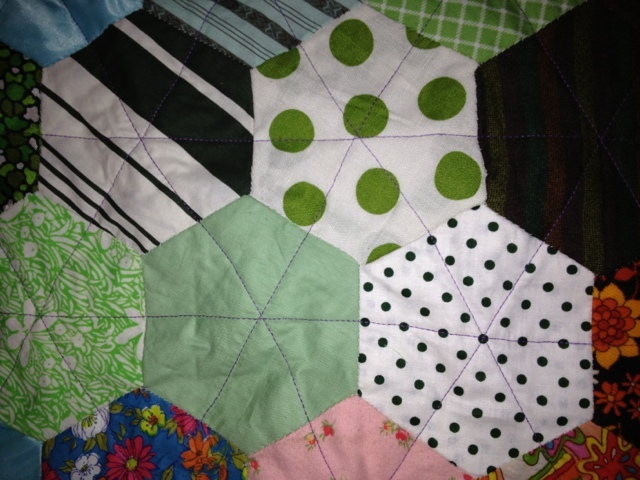 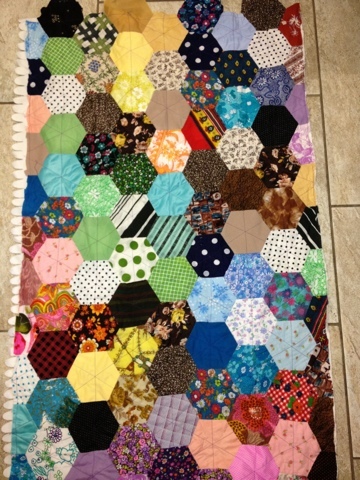 A few months ago one of my students at Chertsey Museum brought in a 3m (3 yard ) flimsey that a friends mother had made from big paper pieced hexies. What could she do with it? Nobody wanted it as it was, it was too big, and a real miss-mash of fabrics: cotton, corduroy, lining material, even crimplene! 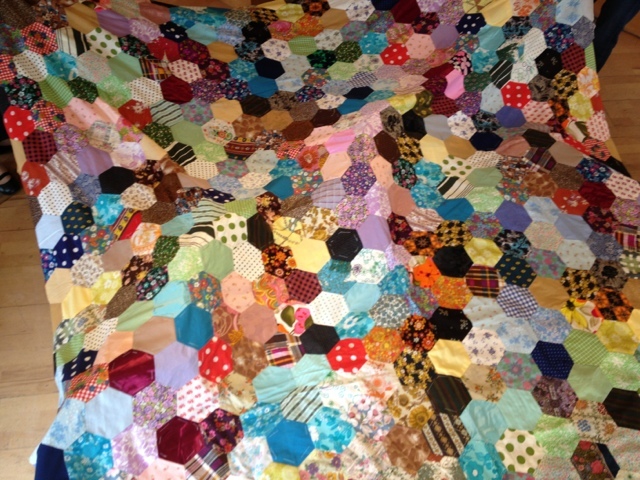 Finally after a few months thinking she decided we could chop it into 6 children sized flimsies and make charity quilts . 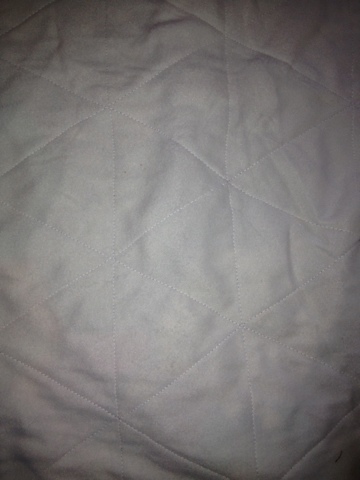 then I washed it just to be sure the top wouldn't fall apart, And it came out fine!